Date: 31 May 2018. 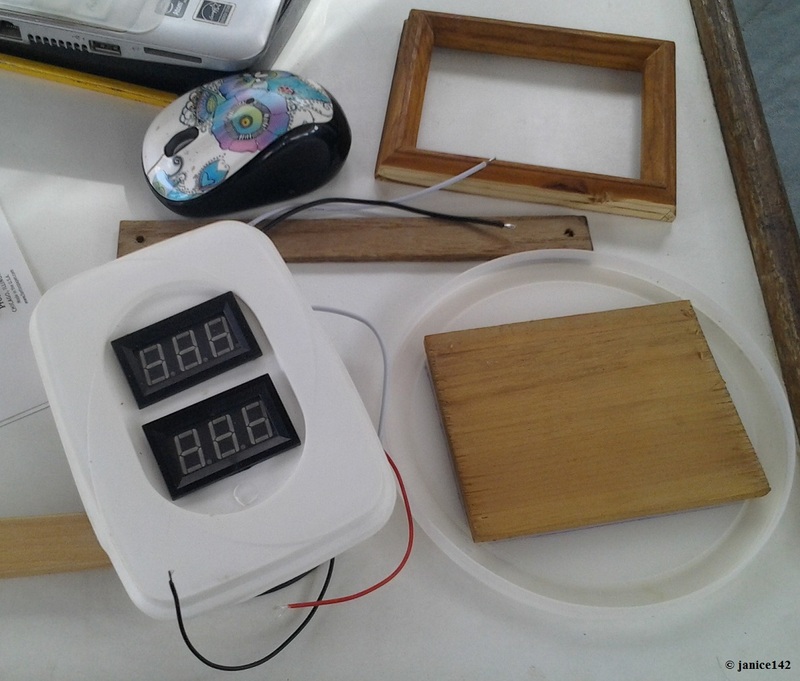 Voltage Meters for the Batteries. When at anchor watching the power is a habit. I don't want to take my batteries down too low. It is important to be able to start my engine should I need to leave immediately. To that end I have a bunch of voltage meters scattered about Seaweed. Life on the hook is solitary. The isolation is not good for all people. My friend Bob from the Time Stopped article was one such individual. Bob got a great deal of pleasure talking boats with other cruisers. He was also adamant about power consumption. In Bob's view, wasting power was a sin. Yes, I am a sinner! A life of decadence requires power for non-essentials. I do not suffer out here. As a matter of fact my life is dang-near perfect. I am truly fortunate. 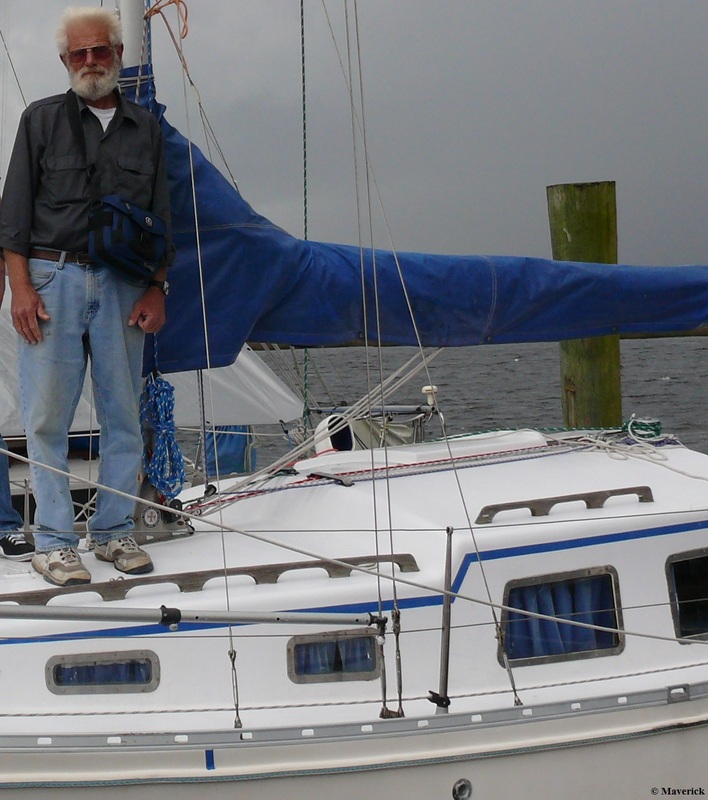 This is Bob ↓ aboard his 27' sloop named Maverick. During my friendship with him, Bob always seemed to have one more thing to do before dropping the dock lines. Be it a gizmo that enhanced safety, newer electronics, or yet another back-up part, something was always being done to improve Maverick. In retrospect I have come to realize that he loved the fixing-up and marina life more than being at anchor by himself. I've written a bit about relationships. Those articles are found listed on the Relationships page. 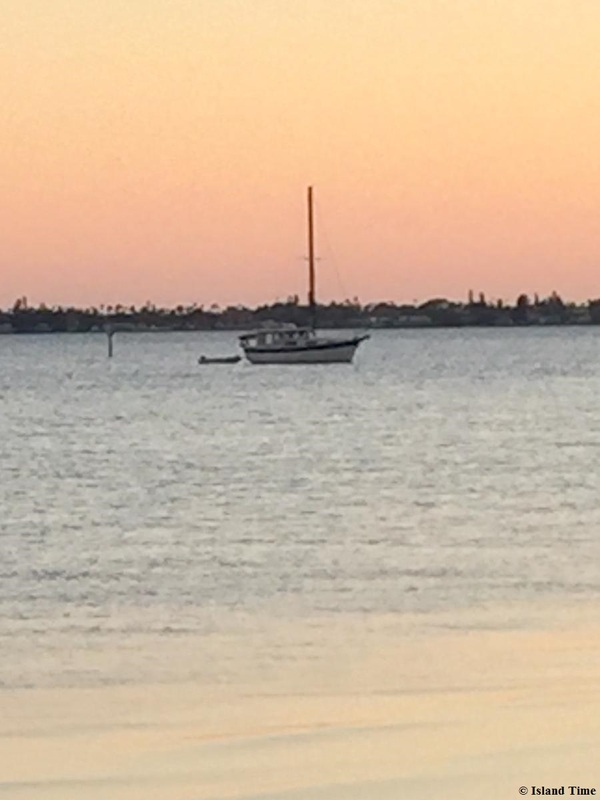 My happy spot is at anchor... doesn't much matter where, just out there is good. Above is Janet and Keith's ↑ motorsailor. Her name is S/V Grace. Grace is a Schucker made by the same company who built my Seaweed..
Janet enjoys life at anchor. Each of us have our own preferences. Finding out what yours is can be challenging. If the budget is tight anchoring out is less costly. As for me, even if the budget were not a consideration I prefer to be at anchor. It is peaceful. Saul Creek is described in the Silence Reigns (Saul Creek) article. Some of my favorite memories took place up the coast on Saul Creek. It was quiet with so many stars in the sky you simply cannot imagine. Now hunters and fishermen did go flying by at all hours. To me that was a bonus. 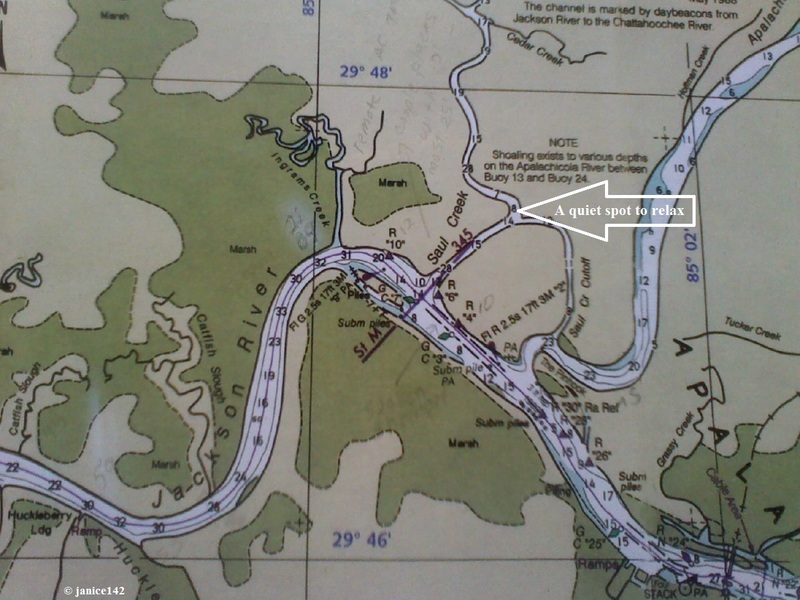 Were I to need help, it was available from fellow boaters. When at anchor it is critical to monitor the state of the batteries. At a dock with unlimited power that's not such a concern. To that end I have multiple voltage meters scattered around Seaweed. Out here at anchor is a lesson in solitude. The Kindle has been a lifeline. And I've got a tablet now so surfing, watching Netflix and YouTube have become real time sinks. I have come to rely on the tablet for more than for simply information. It is just the coolest thing ever. I can start out to watch a video on repairing soft decks (overhead, in the galley) and end up four hours later watching a video on canning, then on to prepper stuff, much of which is flat out wrong. How do these guys get their subscribers when they cannot even get the voltage/wiring correct for a solar system!?!?!? 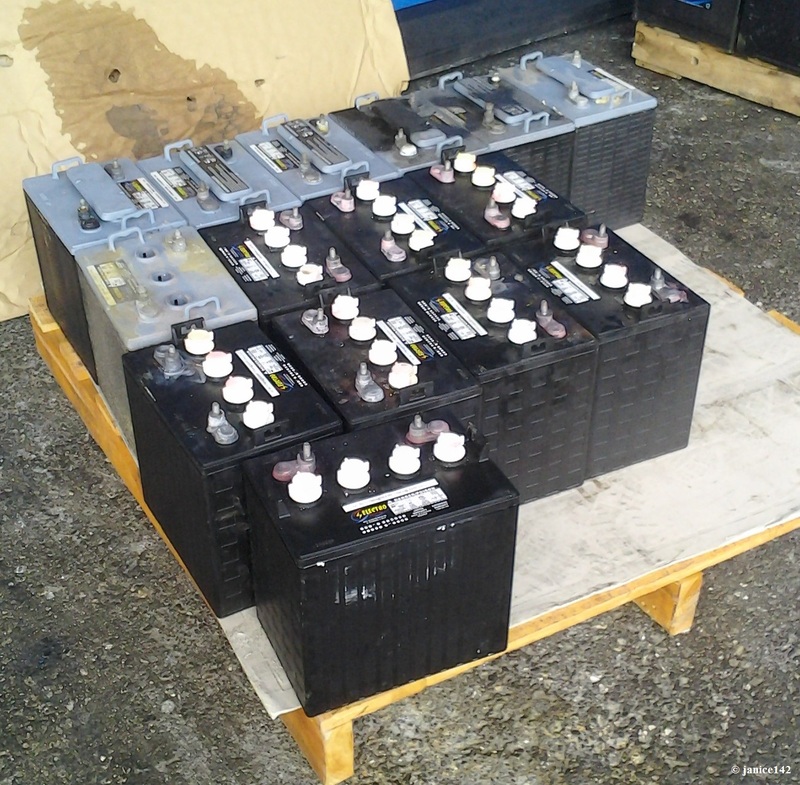 For Seaweed I have found the best method of battery care is for me to always be aware of what voltage I'm at. To that end, EVERY PLACE where I sit or relax has a voltage meter in sight. This allows me to know right away if there is a problem. 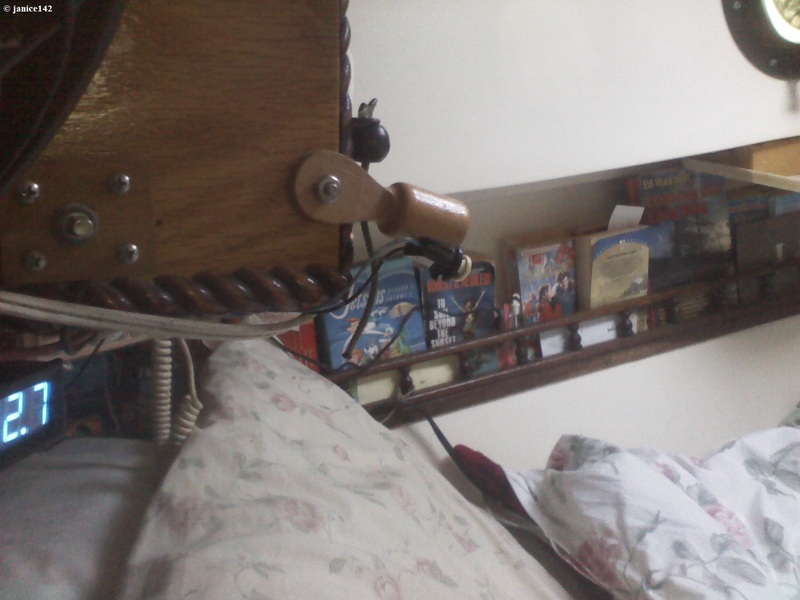 I have one meter near the light I use at night by my bunk. It's a bit of a pain to view in that I have to roll over to see it. Life afloat has its challenges. Somehow I manage though. hahaha. That little light is quite bright at close range. It also burns just .01Ah. 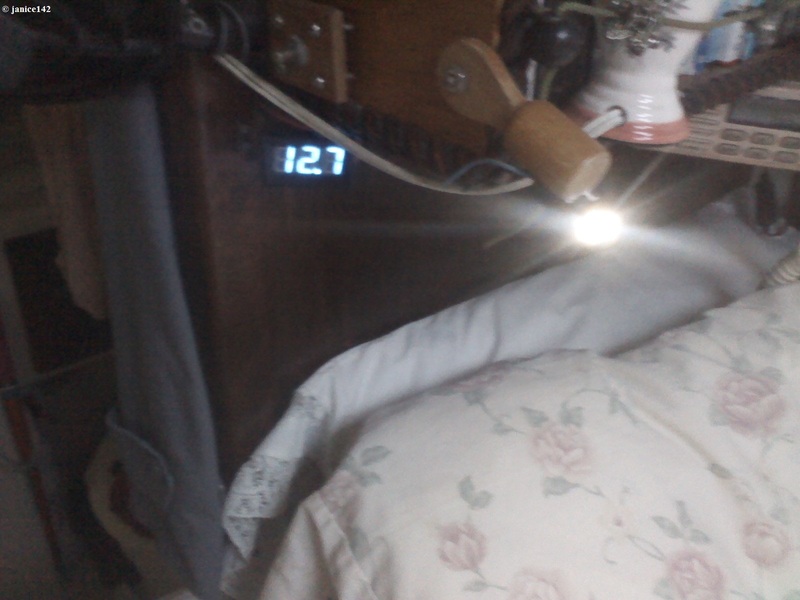 That means that in 24 hours the light uses .24 amps. Using less power is a good thing. When you make all your own *juice, having lower consumption means the power you have lasts longer. *Juice aka power. 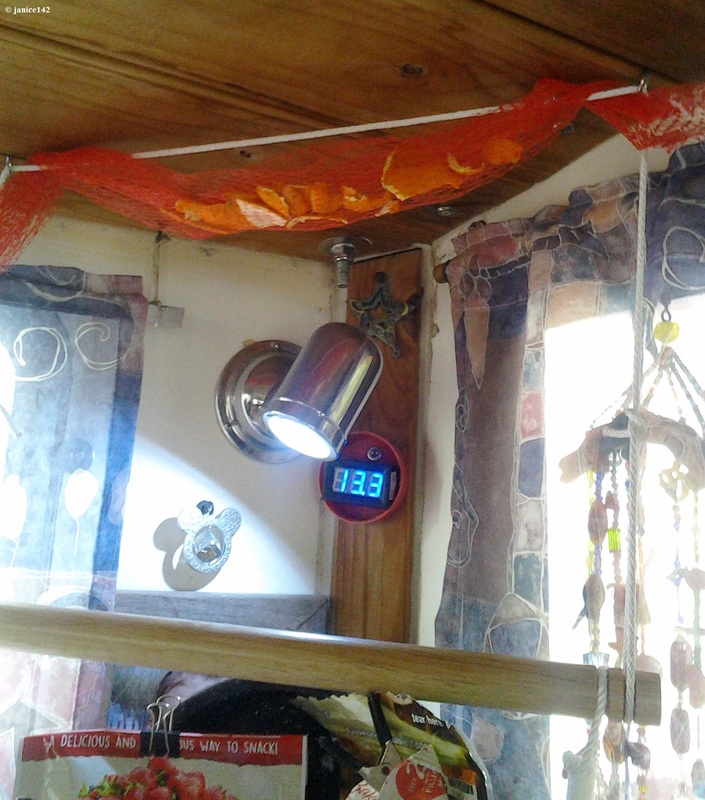 My wind generator supplies power to my batteries, as do the solar panels. Monitoring battery status is Important. Meters allow me to know the voltage. One voltage meter is above a net basket in the aft corner of my galley, starboard side. Note for the observant: Below the voltage meter is a little Mickey Mouse ornament. I bought it at Disney when my Kidlet took me on holiday last year. Of course I remember well my first ever real holiday. It was a truly amazing experience. Disneyworld is simply fabulous. I especially liked Animal Kingdom and Epcot. The article Disney 2017 tells about that wonderful vacation. I will never forget that week. 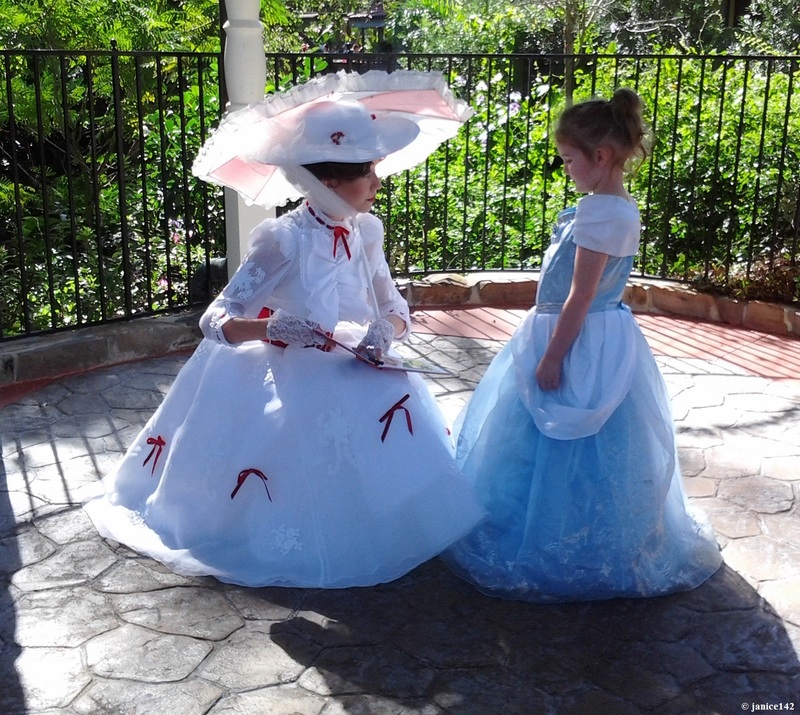 My grand ↑ speaking with Mary Poppins. 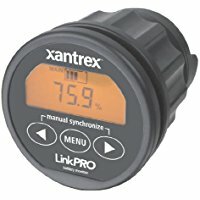 There are special monitoring systems (Xantrex Link is one brand) that will tell you how much power is left in your batteries. They are costly. The meters I use are from China and are priced at less than $3 each. Search eBay for voltage meter. When you shop for voltage meters, DO NOT pick the mini's. The larger ones are easier for old eyes to read. Mine are 1 7/8" by 1 1/8" and the numbers are clearly visible from across my admittedly small cabin. I chose blue numbers so color blind visitors could still read the meters. The blue is bright and easy for me to see. The article Screening My Hatch (eBay advice) explains how I find the best prices on eBay. Side Note: You know that by using the link (found at the top left corner of each page on my website) I receive a small percentage. I REALLY appreciate it when you buy via the links. It costs you nothing and does help me. This time however, at least when I purchased the meters for Seaweed, eBay had the better price. People who spend the majority of their time at a dock don't need to monitor batteries as closely as I do. Still, it is a good idea to regularly check your voltage. Having a dead battery bank is no fun at all. Not being able to start your engines because of lack of battery power is frustrating too. More upcoming. I'm testing out a shorter article format. Well, this was supposed to be a brief post. I do tend to run on at the fingers, don't I? Thanks for sticking with me to the end. I'd love to hear how you monitor your batteries? And, are you living life on the hook or at a marina? A favorite aphorism: It's not how a boat sails, it's how it anchors because that is what the boat is doing for 99% of its life. Chuck Brantley.